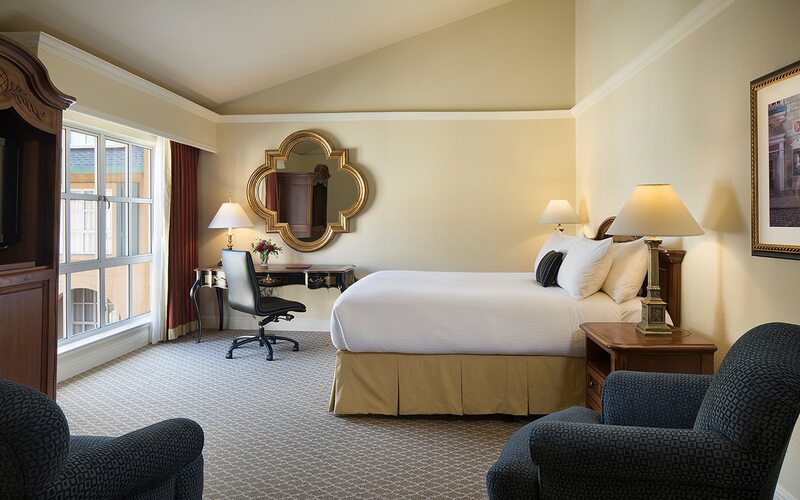 Gracious and inviting, our spacious Deluxe Guestrooms offer serene views of garden areas or Lafayette’s golden hills. 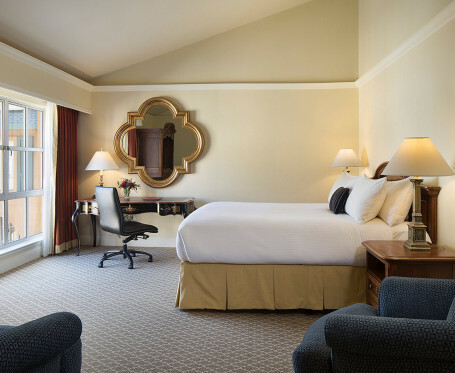 These luxury hotel rooms feature either one king bed or two double queen beds, as well as a seating area. Select king rooms include a pullout sofa. 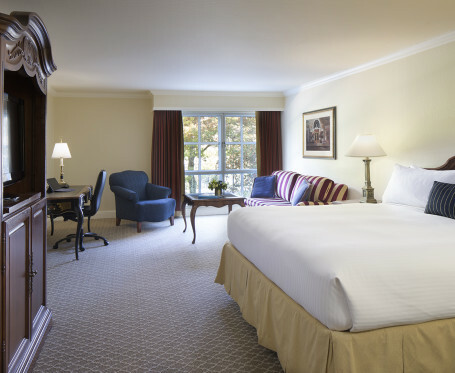 Elegant and tranquil, our Premium Guestrooms are a perfect space for relaxation, and feature views of our intimate courtyards or Lafayette’s rolling hills. 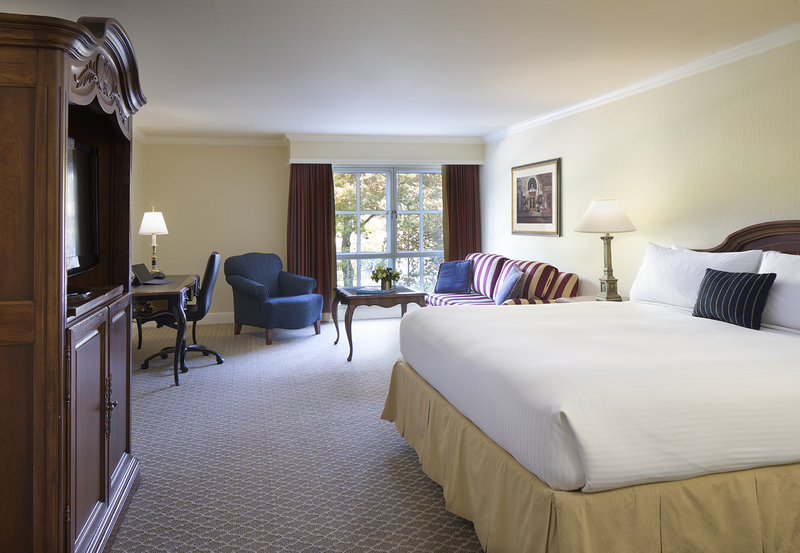 Select from two queen beds or one king bed. Many of these luxury hotel rooms have high vaulted ceilings. 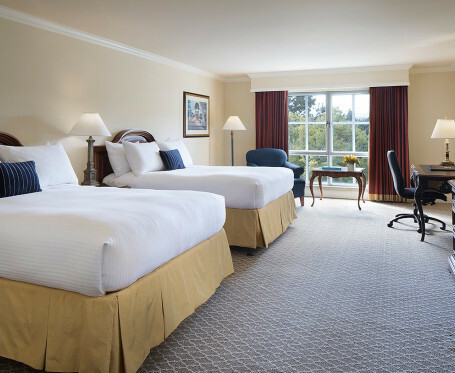 Select king rooms include a pull-out sofa. 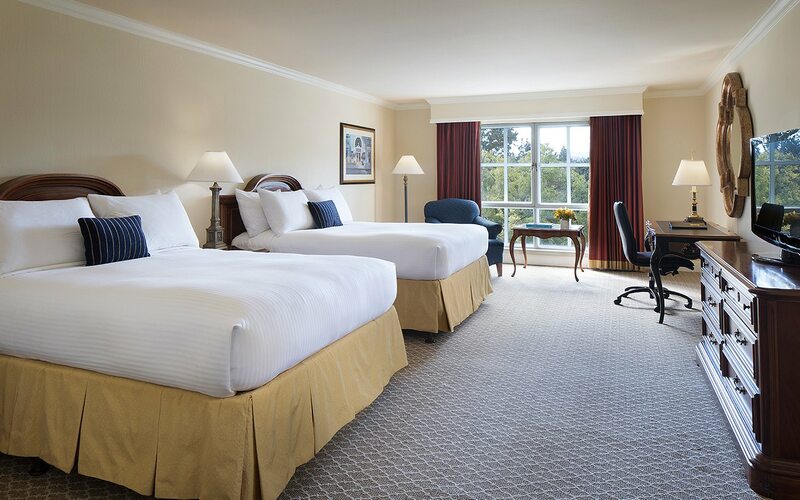 Our ADA accessible guestrooms are relaxing, inviting and extremely functional, with all the comforts and amenities of a European-style hideaway. ADA-compliant design features include roll-in showers with folding benches, flashing door knockers, and lowered beds.